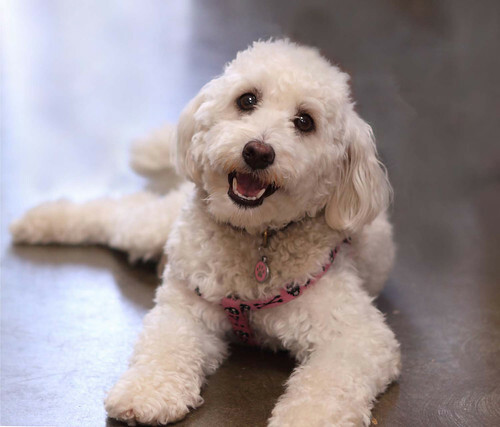 Coco the mini poodle is not only a flyball dog, but quite a performer. She is still learning the sport, but always looking for applause whenever she can get it. A brief pause at the box, a look to the right as she goes over a jump, or a prance at the finish line are all good places for little Coco to get extra recognition. Coco is fast, loves to play flyball and visiting her flyball friends. She and her parents, Erich and Sara make up a great flyball family. Somebody looks like a happy dog! She loves to perform! Pretty and happy. Not just another pretty face on the flyball course. She is a speedy pup! Coco’s my buddy at practice – We have a great time!